The USPS Package Intercept service allows customers to intercept and redirect a package before it is scheduled for delivery or delivered to its destination. At the point of interception, customers can choose to have their package returned, redirected to a different address or redirected to a Post Office to hold for pickup. 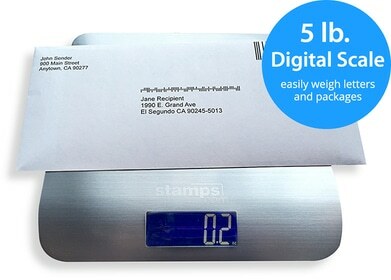 Both retail and commercial customers can use this service for their letters, flats and packages, as long as the mailpiece has tracking information on it. This service is available for domestic delivery only and can be applied to shipments with Priority Mail Express, Priority Mail, First-Class Mail, First Class Package Service and Parcel Select Ground. There is a Package Intercept fee of $14.10 that applies to all intercepted shipments. Commercial customers who purchase postage online can also submit their Package Intercept request online. Once a Package Intercept request is created, the mailpiece is relabeled as a Priority Mail mailpiece and updated postage charges are applied depending on the dimensions, weight and zone of the intercepted shipment. There is no cost to return a Priority Mail Express, Priority Mail or First Class Mail package to the sender. Priority Mail postage fees are applied for all other requests. Customers can also purchase additional services for their intercepted package, such as Adult Signature Required, Insurance and Signature Confirmation. Registered Mail shipments that are intercepted can only be returned to the original sender. In order to use the USPS Package Intercept service, the shipment cannot measure more than 108 inches in combined length and girth. Note: The USPS Package Intercept service is not available for purchase in the Stamps.com software.